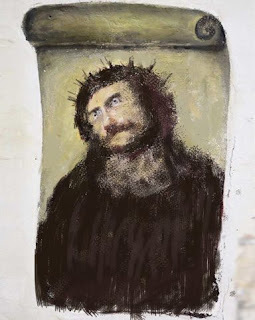 Can you fix the damaged Fresco? In Borja, Spain an elderly churchgoer attempted to restore a cherished 19th century fresco damaged by time. Her well-intended efforts left the fresco severely disfigured. Use 4 different brushes and colors from the actual painting to restore the fresco. 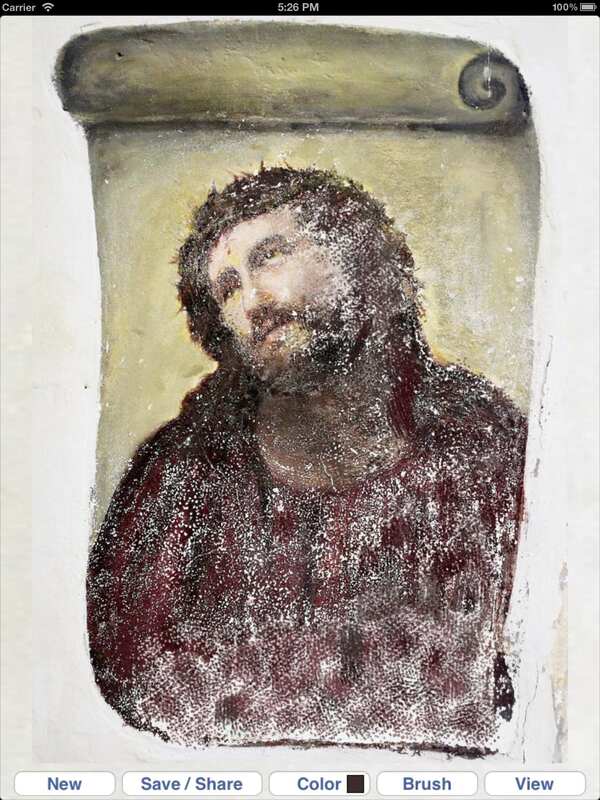 Start with the damaged fresco – or for a real challenge – try to correct the botched restoration! Includes views of the original undamaged painting, fresco with damage and the botched restoration. Share your restored fresco with others via Twitter, Facebook or email! I gave up after mine was worse than the Monkey Jesus. I thought the app was hilarious though, nice job.